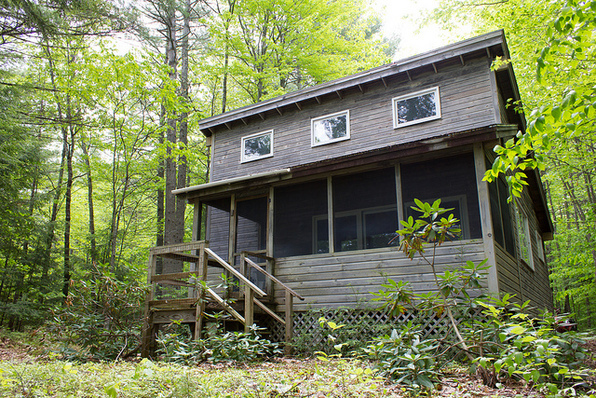 The Laird Cabin is located on the New Hampshire section of the Assembly grounds and is the furthest cabin from the Main Building. 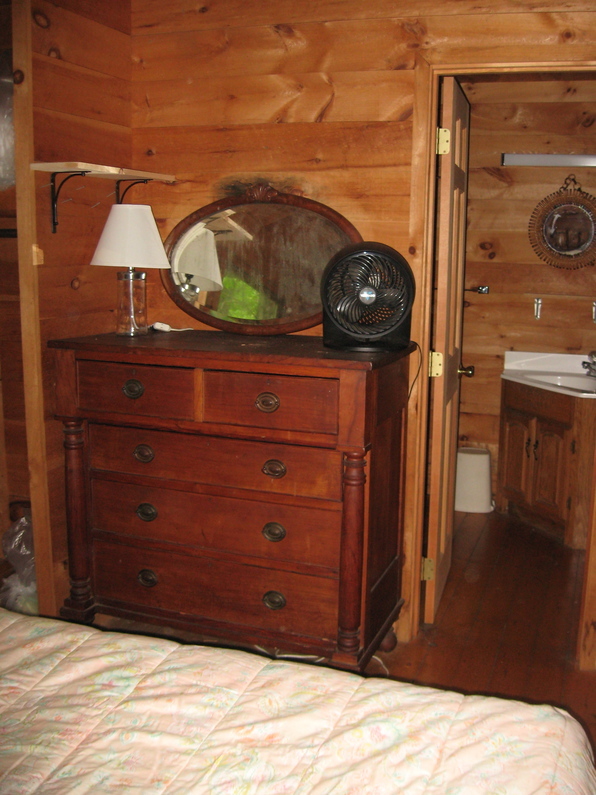 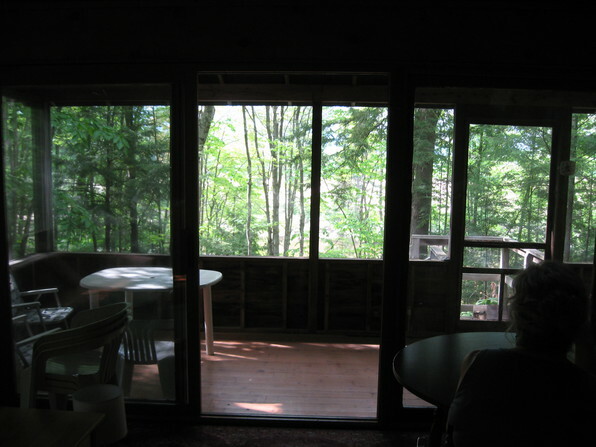 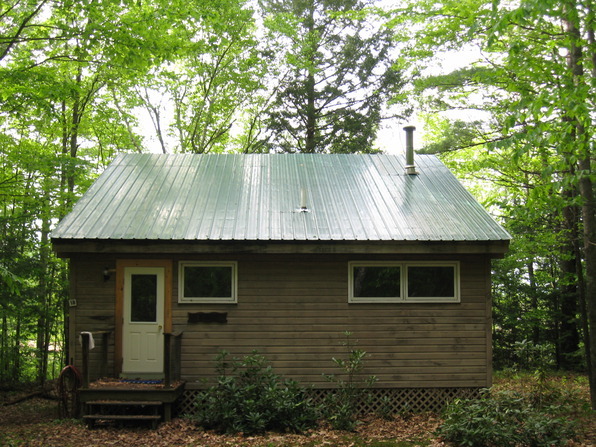 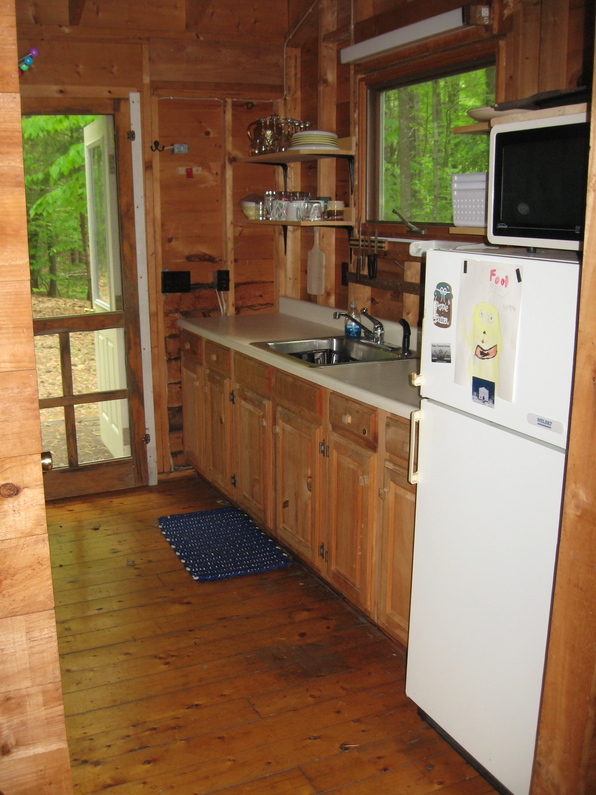 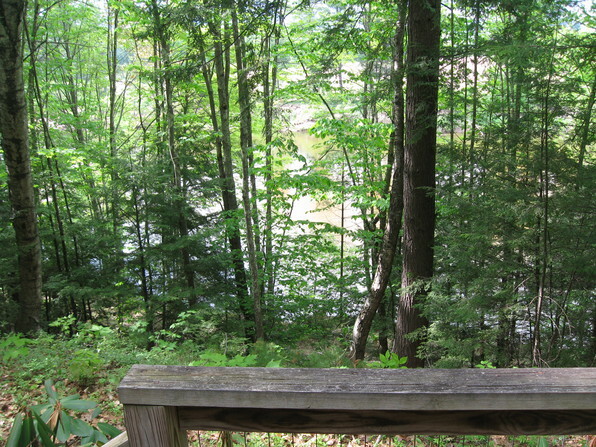 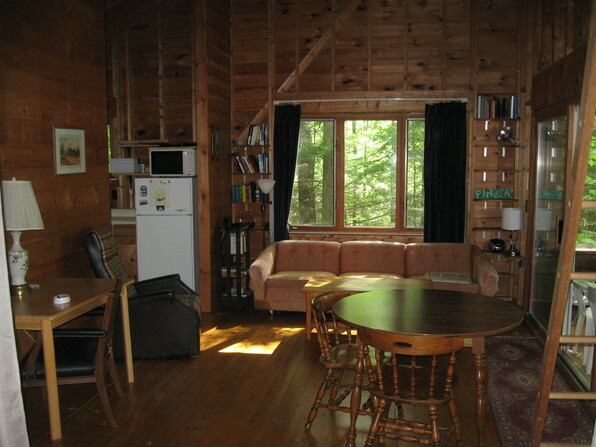 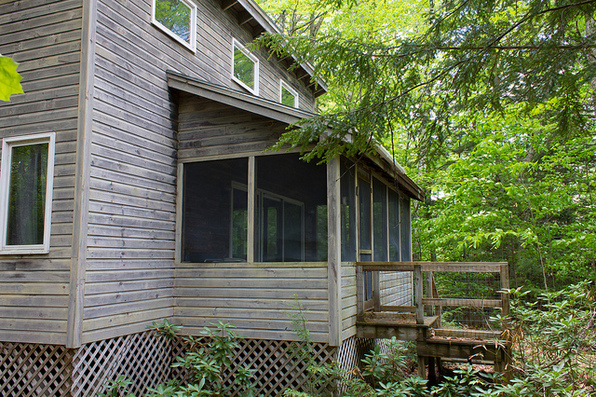 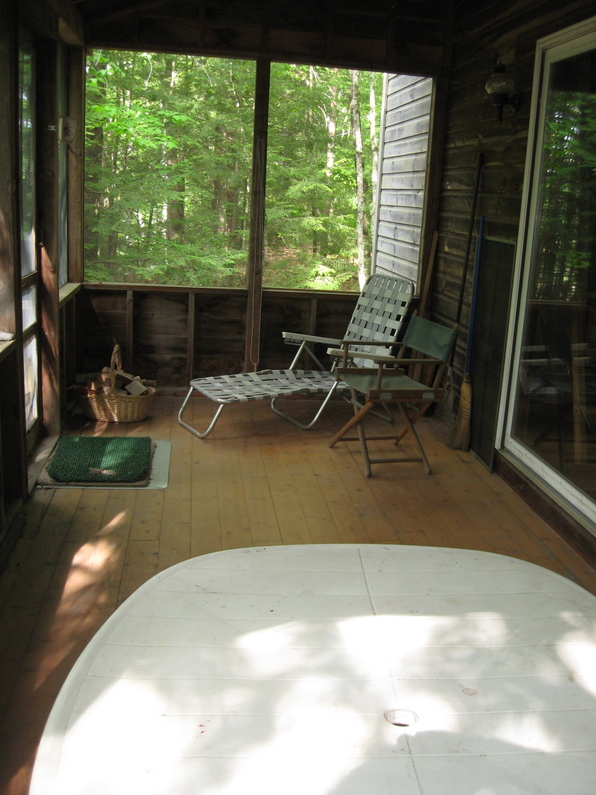 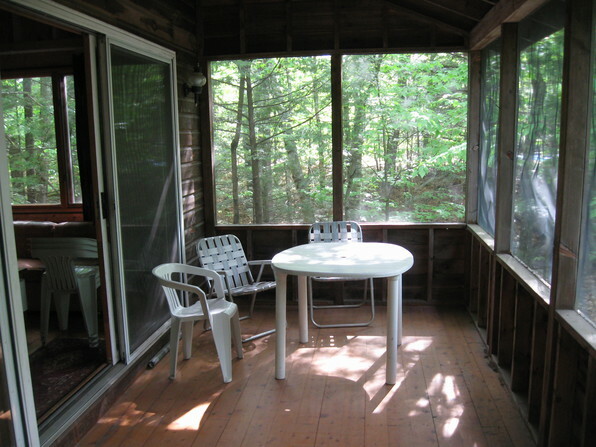 Although nearby homes are visible from it through the woods, it is the most isolated cabin at camp. 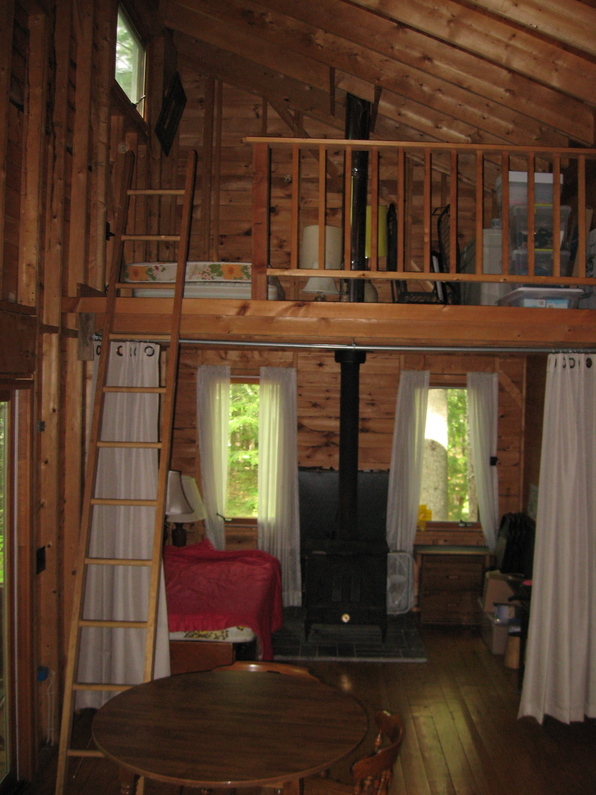 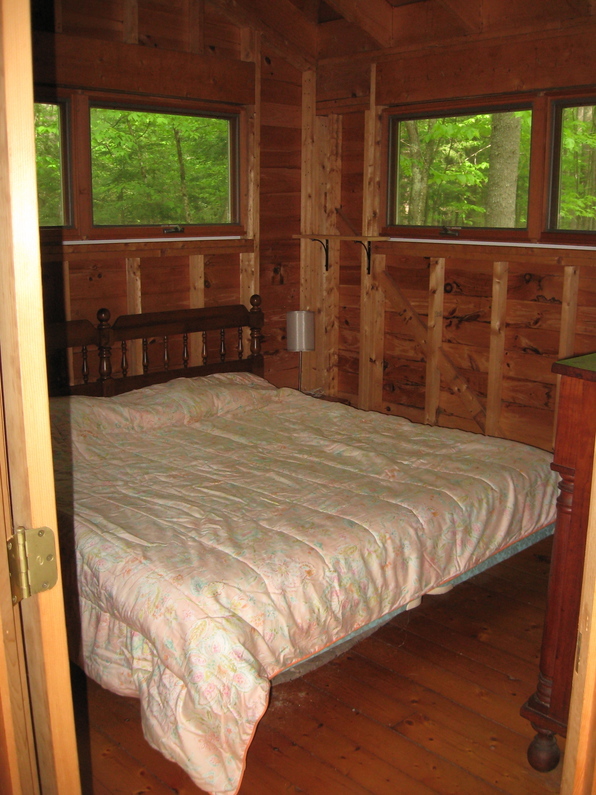 It has a master bedroom with a king size bed, a bright living room due to the high ceiling going up to the upper level rear windows, a twin bed and woodstove in an alcove off the living room that can be separated by a curtain, an open sleeping loft accessible by ladder, a kitchen with fridge and sink, a 3/4 bath with two sinks, and a large screened-in porch facing the river. 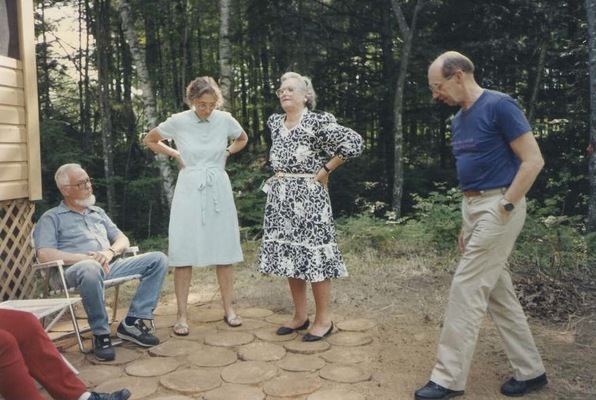 "The Laird Cabin Dedication in 1991"
That's Dorothy Travers-Davies in the print dress.